We are sharing the 25 Do’s and Don’ts in Japan so that you have some insight into what you should and shouldn’t do in this country of the rising sun. Of course, some are tongue in cheek, but others are quite straightforward. Japan is one of the most culturally interesting places for all visitors, check out the best itineraries when visiting Japan. It has a rich and intriguing history and is a society bound by etiquette, or rules of behaviour. One of the reasons for this is that Japan has a very large population. This population of 126 million on a land mass of 377,944 km² means that there need to rule that to ensure that entire fabric of this society does not break down. These rules of conduct are also intrinsically linked to its very rich history. However, you can also experience how the Japanese break out of the well-behaved modes of conduct, and how they push the boundaries. Regardless, Japan is one of those countries that you do need to visit, and to experience. 2 1. Do not litter. 7 6. Embrace your inner Hello Kitty in Japan. 11 10. Do get a Suica card. 15 14. Do play with the vending machines. 16 15. Do burp and slurp. 17 16. Don’t finish your drink or meal. 20 19. Do Stay in a Ryokan in Japan. 21 20. Don’t drink or eat while walking. 24 23. Do Eat KFC at Christmas time. 26 25. Don’t blow your nose in public. The Japanese are fanatical, in a very good way, on recycling. Have you ever noticed that Japan is one of the countries that is really into overpackaging as every little thing must be displayed beautifully and then wrapped beautifully? They are fanatical when it comes to recycling. You won’t see rubbish bins around the cities; because the people take the rubbish to recycling bins, and there are many of them. Read about rubbish shaming in Japan. Recycling in Japan – Confusing yet Effective. but do read the rules about having an onsen. The public baths are one of the most amazing things in Japan, but there is a proper way to have an onsen. Strictly speaking, I should be saying to have onsen, as the ‘an’ is not necessary. Miso soup, sushi and okonomiyaki are typically Japanese, and well worth trying. No matter how good you are at using chopsticks, you will never do it like a Japnese person. Don;t let that worry you, just have a go. It is just a nice thing to be able to say thank you in the language of the country that you are visiting. If you ski like I do at Nozawa Onsen, then it helps to be able to say Excuse me and sorry when you run into someone. Thank you – arigato or Arigatoo gozaimasu. 6. Embrace your inner Hello Kitty in Japan. Do try and understand the Japanese obsession with cute. Japanese Love Cute? or Kawai-i. Do not get into a sake or beer drinking competition with Japanese men. You will lose. For some reason, they can get mightily drunk, and then be at work the next morning bright eyed and bushy tailed, whereas you will feel as if you have died a thousand deaths. 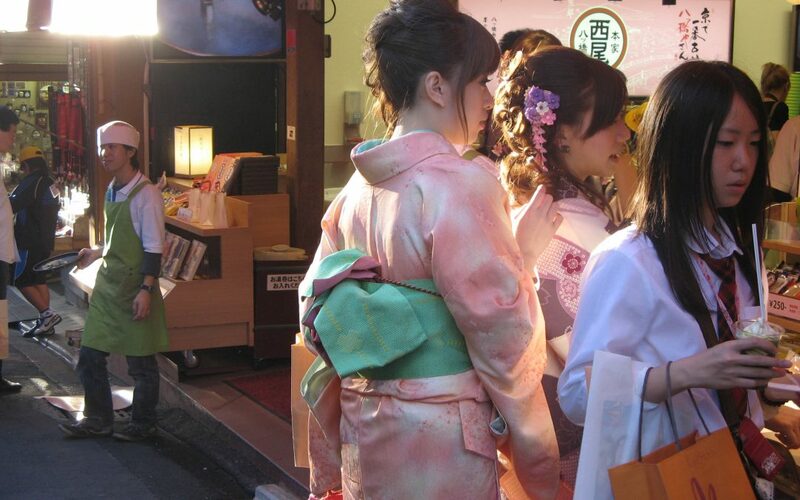 There are rituals involved in serving and drinking sake in Japan. Remeber, Sake sneaks up on you. Just letting you know that what tastes as smooth as silk, has a kick like a mule. All the booths in Japan are private, so you can only make a fool of yourself in private unless someone shares it on Youtube. It is a favourite pastime with the Japanese. Maybe it is a chance to break from the rigorous codes of conduct that the Japanese live by. Maybe it is the sake and the beer. 10. Do get a Suica card. This is one of those e-cards that can be used on trains and to pay for goods, and at convenience stores, etc. It makes your life easier. Learn also how to get from Narita Airport to Tokyo. I didn’t think I would utter these words either, still having the image of the lone hot dog/Weiner going around and around in The Simpsons, at Apu’s Kwik-E-Mart. 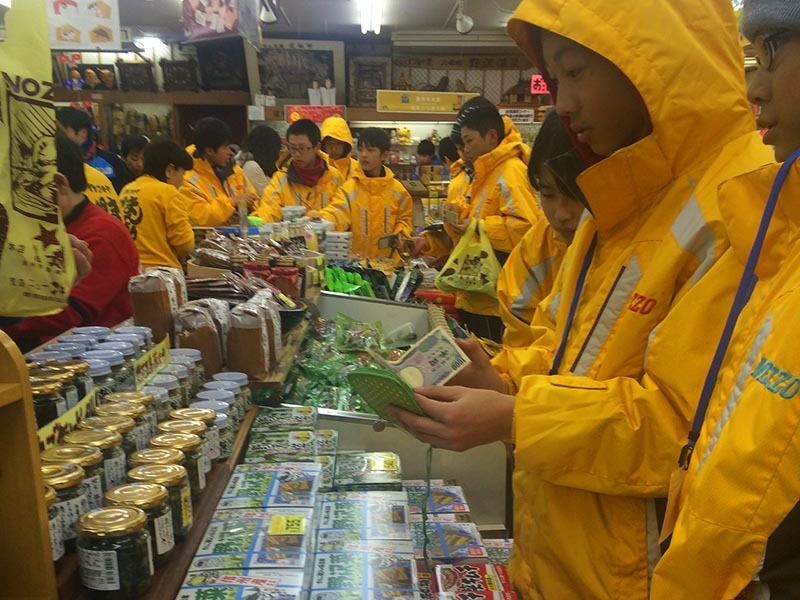 But ..the food in the Convenience Stores is changed over every 2 hours so is as fresh as anything, and varied. Ditto the train stations. Do get used to taking your shoes off when you enter a house or restaurant, particularly outside of Tokyo. The floors in traditional Japanese houses were covered with tatami mats and with very little furniture.Most houses still are such is the tradition. These mats were used to sit on and to sleep on instead of chairs and beds. As the streets generic cialis with mastercard were muddy and dirty, they did not want to bring this dirt onto the mats and into the houses. So shoes were taken off outside and slippers were put on inside. 14. Do play with the vending machines. The main reason that there are so many vending machines is that they are convenient for a very large and very busy population. They are also constantly stocked and re-stocked particularly the food vending machines. Nothing is even close to a use by date, so meticulous are the Japanese. Anybody who owns property can put a vending machine outside their premises. Coke, Suntory or any of the other beverage companies will come and set a vending machine on a piece of land that you own and all you have to do is to pay for the electricity. You will then get a share of sales, which starts, at 20% of the sale cost. They also come to fill up and provide the maintenance of the machine. Each and every vending machine is different and to be quite honest it was not until it was pointed out to me and I started looking more carefully that I could see this. You learn to differentiate between the various companies of vending machines by their branded logo on the side and also by what they offer. 15. Do burp and slurp. Slurping your noodles very loudly is considered to be a sign of enjoyment of the meal. The louder the slurping, the more that you have enjoyed the meal. It is disconcerting for Westerners but not for the Japanese. 16. Don’t finish your drink or meal. Don’t finish your drink or meal. if you are out with Japanese people. They will assume they have not fed you enough, or have not got you drunk enough. This is insulting to the Japanese people who pride themselves on their hospitality. Always leave a little in your glass, and a little on your plate. Let your host pour your drink also. The Japanese do not accept or expect to be tipped. It borders on insulting. Use your cell phone, but don’t talk on it on the trains, etc. Everyone is on theirs, but there is respect for others by keeping it quiet. 19. Do Stay in a Ryokan in Japan. A ryokan is a traditional Japanese inn, generally with local owners and tatami mat floors, where you will need to get used to toilet slippers as well as house slippers. This will give you a good sense of the culture of the country. 20. Don’t drink or eat while walking. It is considered bad manners. You will mostly land in Tokyo, so take some time and visit some different disticts of Shibuya, Shinjuku, Akihabara, Ginza, Harajuku. Check out the electronics, and cos play outfits. You can see manga and anime characters as well as many of popular video game characters. Musicians and punk rockers abound. Anything to do with fantasy and magic like Harry Potter is also seen everywhere. Everything and everyone is on time in Japan. Trains, people … everything. Except once, when an avalanche buried the train line and the Japanese people were so distressed by things not running to perfection, that they fled the trains. Good story to highlight that if everything does not run according to the rules, then this is major hurdle for the Japanese. Platform 19, not Platform 9¾ – our bullet train is stuck! 23. Do Eat KFC at Christmas time. Although Japan doesn’t traditionally celebrate Christmas, KFC outlets became popular among foreigners when they couldn’t find a turkey elsewhere during the festive season. KFC very quickly filled the void and mounted a hugely successful marketing campaign in the 1970s. The Japanese now place their orders up to two months in advance to meet demand. See one of the KFC ads designed for the Japanese people on our site “Why the Japanese love KFC for Christmas? The exchange of business cards, meishi, is an essential part of Japanese business etiquette. The Japanese love business cards and you do not have to be in Japan on business to offer your card. Offer the card with the Japanese side facing upwards toward the recipient. Offering the card with both hands will demonstrate greater respect. Do look at the card you have been given, turn it over and admire it. Make sure your card looks good too and is printed on both sides with your details. Place it carefully into a holder. Don’t just shove it in your pocket or handbag. 25. Don’t blow your nose in public. This is considered poor form, but sniffling isn’t. Try and go to one of the musical toilets before ejecting the contents of you nostrils. 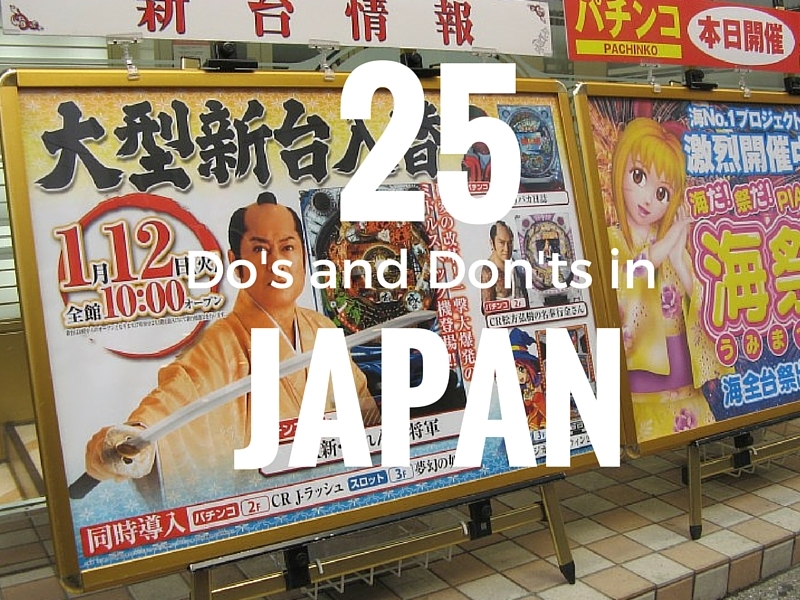 These are just some of the 25 Do’s and Don’ts in Japan. None are hard, and you still may slip up, but the Japanese people respect visitors who make an effort. Art made from Recycled Materials in Japan Weird and Wonderful Things about Japan Cosplay in Japan Recycling in Japan – Confusing yet Effective. I am so excited to be going to Japan a country I love from my heart. These Do’s and Dont’s sure will help. I would also add that bowing to show respect is appreciated. Bowing is quite complicated in Japanese culture (at least it seems to be for a Westerner), but the effort of trying to bow appropriately shows respect. I agree, even an attempt is appreciated. About 15 & 16, I would like to tell these are not good advices for foreigners to take. I myself Japanese, and found this web page quite useful but felt at the same time, there are somewhat strange and not very true. Slurping your noodles very loudly is considered to be a sign of enjoyment of the meal.The louder the slurping, the more that you have enjoyed the meal. It is disconcerting for Westerners but not for the Japanese. →　These are completely misinformation. Japanese don’t think it is rude to make noise when eat noodles, it is simply forgiven. But eating food without shutting mouth, thus making chewing noise, is very bad manners and unbearable to most of Japanese (in a sense, quite same as western manners). I myself avoid making loud noise when eating even if it is noodles. >>>16. Don’t finish your drink or meal. →　This is complelely wrong. I think this is probably Chinese manner, I am not sure though. If you leave food/drink, Japanese think they are not good taste or simply think you don’t like them. It is better for you not bother leave meals/drinks. If you can, eat/drink them all. You should also have something about respectig temples and not to ever stick your chopsticks straight down in rice, don’t feed someone from your chop sticks, and down put your chopsticks down unless your done withthe meal or have to excuse yourself to the bathroom. These are considered disrespectful as well. All true, and I think I have covered these in other articles. I could easily add them to this one too. Thanks. On y way to Indonesia to visit my future wife I had a one lay over in Tokyo. I adore the Asian culture. There is one question I find had to ask but need to know. While I was doing my home work on Asian cultures, I found that it was very odd that in such a strict culture there so many women who are willing to take their clothes off. So beautiful and so free with their bodies. Am I on the wrong track here? Interesting. In the onsens in Japan it is just a bathing ritual, but if you are referring to other activities – I would imagine that this happens all over the world. Thanks, we love Japan too. The do’s and don’ts in Japan are a helpful guide to understand this beautiful country.Thanks for commenting. Japan intimidates me. It seems like a culture where it’s easy to make a faux pas, and they will notice and count it against you. I could be wrong. But 25 tips; that’s a lot to remember! No, no, no, while the Japanese live by a code of behaviour, in fact many, this was to help to show that you have taken the time to understand a little more about this amazing country. The people are lovely, and the fact that you have tried is all that matters. In saying that, I don’t think anyone should litter anywhere, and I applaud Japan for their recycling. Thanks for the tips. I had heard about that KFC at Christmas thing, what a funny tradition! It’s a tradition that seems at odds with everything Japanese. But on the other hand, the Japanese do adopt some quirky things, and I guess KFC is one of these. They sure do, in Japanese curries. Oishii. I could have done with some of these when I visited last year. Japan is an amazing country and well worth seeing – more than once! That’s why we keep going back. We love it. Totally agree with staying in a ryokan! Love them to bits. Us too. It is such an authentic way to experience Japan. great round up of tips!! the convenience store for food was one of our favourite things to do for dinner when the kids were fussy and tired. Everyone could pick what they wanted and I didn’t have to cajole them through behaving at a restaurant. We did have a hard time remembering not to drink (even water!) on the street. We are so used to sipping water especially on a hot day. The conveniences stores have such a huge variety. I do carry water with me, but sort of huddle in a corner to have a sip. I love this list. We truly enjoyed our visit to Japan. I am fascinated by those Japanese toilets. The controls in one hotel just had buttons with Japanese characters and no icons. It was a bit of a surprise to find out what happened when you pushed each one since there were no picture clues. As for my kids, they will happily slurp whether or not they are in Japan. I know what you mean. I hit every button on one, and they didn’t have any signs as to what they were. Let’s say, I also got a few surprises, but had a lot of fun. I do like the heated seats particularly when we are at the snow. I hope you do get to go to Japan. It is one of the most interesting places culturally that we have been to, and one that we keep returning to. It does feel like a second home at Nqzawa Onsen, particularly. Paula, learned a lot reading this post. I think it is important to learn cultural etiquette before visiting a country. I do to. It is polite to have shown an interest in the place you are about to visit, and shows that you are trying to understand. Haha love this! Bookmarking coz Japan is totally on my bucket list. Definitely go to Japan, you will love it. Such as a great article for those looking to travel to Japan. Remembering the dos and don’t for any country is great for responsible tourism. I totally agree. It is a sign of respect to the people of the country, that you have thought about what their beliefs and practices are, and that you respect the similarities and differences. Oh my gosh, so many things to remember! I can’t wait to go to Japan to experience all of these things – the food, obviously, but the onsen and Karaoke too! You will love the food, and totally love the onsen. Saving this for my next visit to Japan!Loved the Japanese toilets – my daughters and I still talk about them all the time – and we definitely ate at our share of train stations and convenience stores. Thanks for sharing! Th toilets are fun, and the train stations and convenience stores are the best places to eat. Having spent a lot of time in a time in Japan as I’ve worked there twice, I’m not sure what else I would add. But I often try to bring omiyage back to my co-workers whenever I traveled somewhere. omiyage are such an excellent example of the beautiful attention to detail that the Japanese put into everything. These are much more than just a tacky souvenir, and I bet your coworkers love them. Trying Japanese food is definitely one of these things you just have to do!!! Sushi was really good, but a little bit overpriced in my opinion. I really enjoyed bubble tea, noodles and their fizzy drinks :):). What was your favourite Japanese food? It all depends where you eat. When we got the volunteer Tokyo guide for example, he introduced us to hole in the wall cheap place to eat at.We use our general rule of thumb when visiting Japan; the more locals the better and cheaper the food. I love Tonkatsu, a fried pork cutlet, or osoba, a soup with noodles, but different, or yakisoba, fried noodles in a thick, brown sauce flavoring. Wonderful stuff!!! I will re-read if I am ever heading to Japan, where my first stop will be the toilet – you have me really curious. I had a blast, literally, in the Japanese toilets. I am always amused that there are certain sounds for certain actions in the toilet. So every time I head that bird chirping, I know what the person is doing. Crazy. Pachinko parlours are totally OTT. No one notices if you walk in because they are so engrossed, and it is so noisy. The convenience stores are amazing, and offer so many options. I can’t get used to the slurping, I still find it odd. Though Gordon seems to have got the hang of it.